Culture is a healing and peaceful force in the life of any country and the Dominica Festival of Arts (DOMFESTA) has been the nexus of the visual and performing arts over the past 30 years. Chief Cultural Officer, Raymond Lawrence, is of the view that culture provides a "strong sense of identity" and helps reduce crime, create employment and mend broken community links. Lawrence spoke last week at the media launch of DOMFESTA 2013 at the Old Mill Cultural Centre in Canefield. It is the 30th Anniversary of the festival. 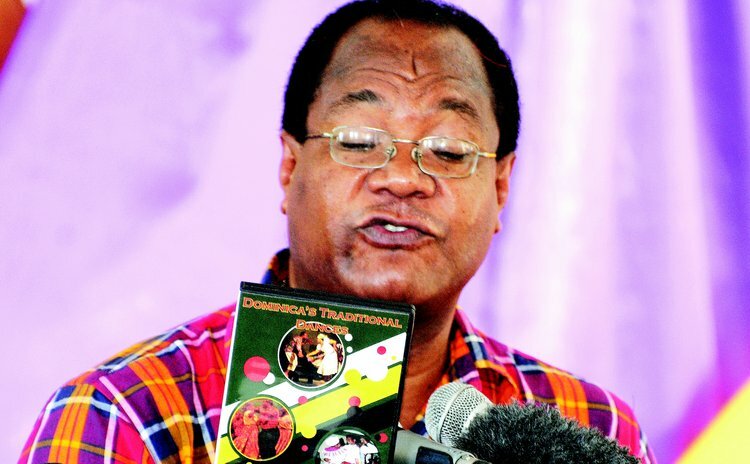 "DOMFESTA has allowed for the showcasing of our artistes and craft-persons through the years and has served to launch many of our artistes to achieve greater heights," Lawrence said. "The DOMFESTA activities will give greater encouragement to our artistes, poets, dancers, writers, actors and musicians in Dominica and DOMFESTA will continue to build the awareness of the importance of arts and culture in the overall development of Dominica". This year's programme includes a varied mix of arts and culture. There are three plays: from the New Dimension Theatre come Desired Will, written and directed by Steve Hyacinth; the Libra Foundation has produced A Tale of Slavery, written by Giselle Pierre and directed by Alwin Bully and La Cour des Arts will present "A Tempest" a play directed by Alwin Bully. Also on the programme: the Primary Schools' Spelling Bee Competition now in its third year and Schools' Arts Gold, a showcase of students who won medals at the recently held primary Schools National Arts Festival. There's also a Pork Festival at Bagatelle, a Steel-band Celebration, the African Liberation Day Activities, the usual Arts and Craft Exhibition and the Jazz N' Creole Festival held on Sunday May 19 at the Cabrits. Included as well is the End-of –Year Closing Ceremony of the Dominica Institute of the Arts. At that ceremony 145 persons will graduate with certificates from 13 courses in the visual and performing arts. "We are really excited about this grand display of knowledge , skills , talent and the general outburst of creativity coming from such a wide range of ages, from seven years old to 70 years", said Athlene Murdock, the director of the Institute. Another major highlight of DOMFESTA is the rejuvenation of the 40 year-old Giraudel Flower Show which has been dormant for the past nine years. The show which combines and showcases agriculture, culture, community development, tourism and environment preservation, will, for the first time , be held in a permanent venue located on a 2.6 acre plot in the centre of Giraudel. "We can proudly announce that the flower show has found a home," said Fanny Royer, a member of the organising committee. Meanwhile, the Cultural Division on the National Cultural Council have released a DVD and a book to assist in the preservation of Dominican culture. At the media launch Lawrence released a DVD of Dominican traditional dances featuring the Petite Savanne Cultural Group, the Capuchin Cultural Group, Tradibelle and Petite Savanne and Portsmouth Ging Ping groups. Lawrence said the DVD is meant "to be enjoyed" and at the same time it is a very useful tool for groups and persons who want to learn the traditional dances of Dominica. "Our folk dances are very much part of the social fabric and history of Dominica; they make up a vital and integral aspect of this beautiful country of ours and give much meaning to everyday life," Lawrence said. The chief cultural officer also released Volume II of old Dominican photographs which covered the period from the early 1900's to the 1980's. "Through the years the Cultural Division has been able to collect all photographs of Dominican life- people, buildings, streets, landscapes," Lawrence said. "Photographs capture the mood and spirit of the time period, the types of expression, the types of clothes, houses. This provides us with a real and first-hand view of what was taking place at the time".